Baby Zilla and Radioactive Cookies. I drew this prior to my roommate discovering this on the refrigerator bulletin. Today begins the Rock N Roll Monster Bash at the Starlight Six Drive-In on Moreland Drive. There should be lots of horror compiling the scenery. The gates open at 12pm and the mayhem ensues till Monday 5am. Bring lots of water, the Georgia forecast predicts the weather to reach high 90’s. There will be bands, venues, and of course movies. It’s going to be Horrific! Okay, that was too much. 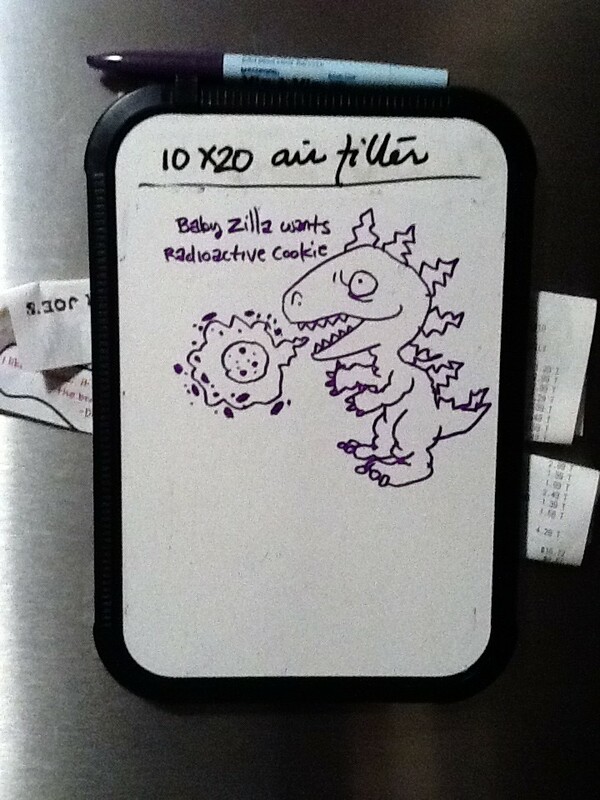 Matter of fact bring some radioactive cookies, Baby Zilla’s hungry. Come back to visit for more pictures.